The exotic flora and fauna of North East India, incredibly sets it apart from the other geographical contours of the country. With the majestic Himalayas at the backdrop, innumerable tribal groups in its lap, lip-smacking cuisines and distinct ethnicities, the 'Seven Sisters' create their own identity, culture and reality. These North Eastern States include Assam, Arunachal Pradesh, Meghalaya, Mizoram, Nagaland, Manipur and Tripura. 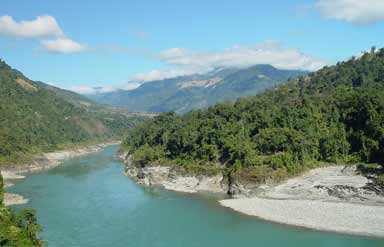 This North-eastern area of rolling forested hills and lush green lowlands also nestles the snow-capped peaks of eastern Himalayas, with its feet washed by the waters of the Bay of Bengal. 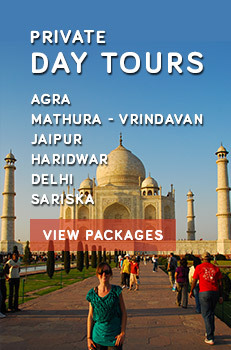 Explore the majestic features of North East India with Adventure Tour India, The Kingdoms, Wild East India Tour, Classical Sikkim Tour, Angami Nagas, alpine North Eastern Tour, on Natures Trail and others. 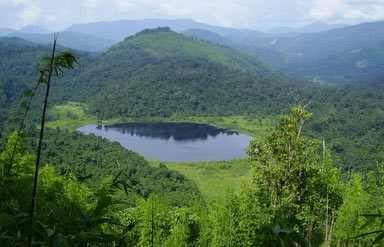 North East India is also called as the 'unexplored paradise.' So, tourists from all over the world, who are searching for something unique, striking and never explored, gear on with these tours. Following are the main attractions of North East India. 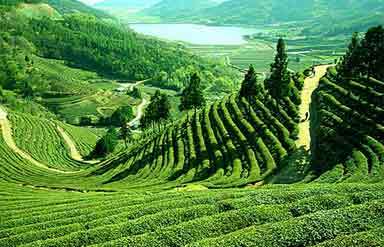 Thronged with the Himalayas and the green Barak valley, Assam is known for its silk, petroleum and tea. The historical places include Talatal Ghar, Rang Ghar, Kamakhya Temple and Basistha. Endi, pat and Muga silk varities are sought after by shopaholics. The three Bihu festivals are celebrated with a lot of pomp and show in Assam. The Borjhar Airport, located 25 km from Guwahati provides easy accessibility. Assam has 21 railway stations; of which Guwahati and Dibrugarh railhead connects the state with major cities of the country. State Transport Corporation Bus Station behind Guwahati railway station has buses to the neighbourhood states. Lauded as the 'Land of Dawn Lit Mountains,' this territory is interspersed with glaciers, pine trees, cascading waterfalls and lush green landscapes. The sightseeing tour at Tawang and Bomdila are a larger than life experience. The wildlife sanctuary at Namdapha is a must visit place. Shopping in Arunachal Pradesh includes woven grass necklaces, bamboo head-gears and handicrafts. The important festivals include Boori-Boot of the Hill Miris, Si-donyi of the Tagins, Lossor of the Monpas and others. Arunachal Pradesh does not have an airport; hence Tezpur Airport in Assam is the nearest airport, 260 km around 4-hours drive). The nearest railhead is at Harmuty, 35 km away from Itanagar. 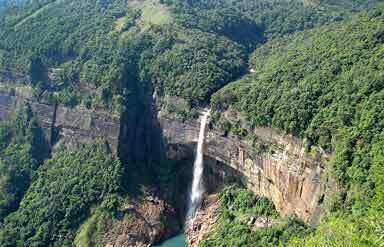 Shillong, the capital of Meghalaya is known as the 'Scotland of East'. This abode of clouds is definitely breathtakingly beautiful. Its an ideal place to simply unwind. Cane work articles, handicrafts, bamboo articles and bead works are the shopping attractions here. The main festivals include Wangala and Nongkrem Dance. The Lokpriya Gopinath Bordoloi International Airport is the easiest way to reach Meghalaya. Mendipathar - Guwahati Passenger is the only railhead in the hilly state. Known as the 'Land of the Hill People,' Mizoram is blessed with idyllic surroundings, mist filled skies, whispering pine trees, serene lakes and gurgling waterfalls. 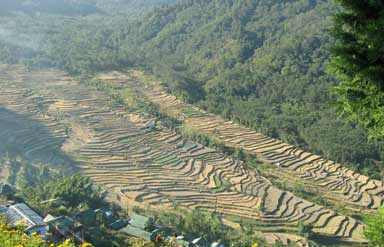 The sightseeing includes Aizawl, Phawangpui, Durtlang Hills and Ruantlang. The main festival of Mizoram is Kut Festival. Lengpui Airport connects Aizawl with Kolkata. From Kolkata one has to board flights for other parts of India. The state has Bairabi Railway Station in Kolasib; though Guwahati railway station is a better option. Known as the 'jewelled land,' Manipur has a very religious and mystical aura to it. It is known for sacred groves, rural villages, tribal culture, lakes and caves. The sightseeing tours include visiting Imphal, Khwairamband, British War Cemetery and Langthabal. The main festivals include Yaoshang (Holi), Lai Haraoba, Kang Chariot Festival, Heirku Hindongba (boat race), Manipur Sangai Festival, Ningol Chakouba and Chumpha Festival. The shopping attractions include fabrics, shawls and decorative ivory articles. Bir Tikendrajit International Airport is a domestic airport that connects Imphal with major cities like Delhi, Guwahati, Bengaluru and Kolkata. Imphal railway station is being proposed by the government. The beauty, mystical value and life changing aspects of Nagaland tourism cannot be revealed in words. Its an experience in itself. The tribal culture, mouth-watering cuisines, ethnic dances, cultural traditions and captivating landscapes make Nagaland feel like a backpacker's paradise. The main festivals of Nagaland include Hornbill Festival, Sekrenyi, Aoleang. Baskets, hats, armlets, necklaces, mats, shields, pots and other decorative items are the main shopping attractions in Nagaland. The Dipamur airport helps in connecting the domestic flights with Nagaland. Guwahati and Imphal are well connected with Kohima, the capital of Nagaland. A brilliant mixture of the old and the new, Tripura is quite different from the other North-Eastern states. The main tourism options include Ujjayanta Palace, Tripura Sundari Museum, Neermahal and Sipahijala. The main festivals include Durga Puja, Ashokastami, Boat Race, Orange and Tourism Festival, Pous Sankranti, Dol Jatara, Diwali and many others. The shopping attractions include tribal jewellery, panels, floor mats and handicrafts. Maharaja Bir Bikram Airport, also known as Agartala Airport connects Delhi, Imphal, Bengaluru, Kolkata and Guwahati. The state tourism buses connect it with the capitals of other near-by states.